I think his nickname among family and friends was “Overboard Carl” for his generosity of spirit and because he would always give more than you expected. 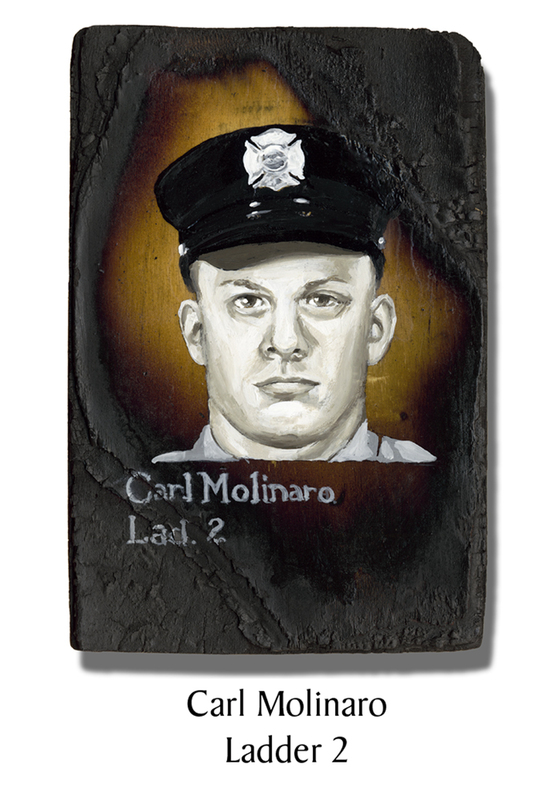 “It was his nature to give.” Firefighter Carl Molinaro is the sixth of seven members of Ladder 2 lost on 9/11. This entry was posted in Better Angels Stories and tagged 343, 9/11, better angels, Carl Molinaro, Dawn Siebel, FDNY, firefighter, firefighters, firefighters of 9/11, Ladder Co. 2, LODD, Manhattan, memorial, NFFF, paintings, portraits, World Trade Center, WTC. Bookmark the permalink.